PURPOSE OF MEETING: to develop a people’s campaign of nonviolent direct action to shut down Vermont Yankee on schedule – by March 21st, 2012. Vermonters and our tri state community have worked for 20 years to shut down Vermont Yankee and are committed to a green energy future. Our voices were resoundingly heard when the Vermont Senate voted overwhelming to replace Vermont Yankee in 2012. Now Entergy is trying to undermine the will of the people and steal our vote away. September 18th will be a meeting, for those who want to commit the time necessary for organizing a non-violent direct action campaign with the goal of closing Vermont Yankee on schedule. The focus of this meeting will be on affirming a participatory organizational structure and an open decision making process and approving action guidelines. as well discussion of possible scenarios for a broad and sustained non-violent direct action campaign and a name for the organization will be chosen. Informational sessions about Vermont Yankee, action camps and nonviolence training workshops will be scheduled for later dates. WHEN & WHERE: This founding assembly will take place on Sunday, Sept. 18, 2011 from 10 – 4 pm pm at the Bugbee Senior Center in White River Junction, VT. Please try to carpool, and to arrive early. Coffee, tea, etc. will be available. A small lunch will be provided; as well, potluck offerings would be appreciated (there may be up to 50 people at the meeting). RATIONALE: We, the People, cannot allow a mega-corporation like Entergy to subvert democracy and continue irradiating our region while adding to the tons of high level nuclear waste stored high above the banks of the Connecticut River. 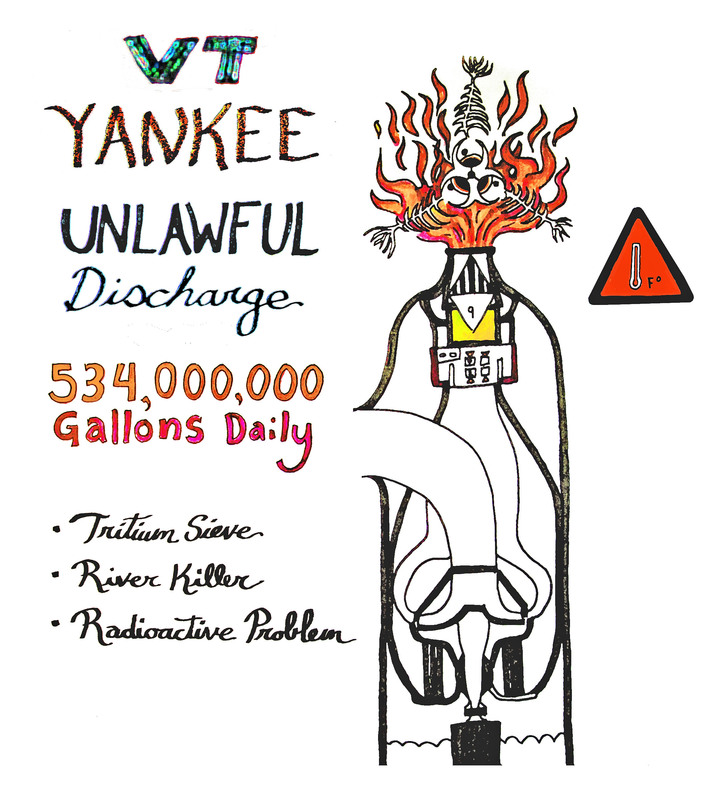 The people of this region—by means of petitions, letters, public hearings as well as demonstrations, and votes by the Vermont legislature and annual town meetings—have long and repeatedly expressed their will to close Vermont Yankee and replace its power with safe, renewable alternatives. Many nations—including Germany, Italy, Switzerland, and Japan—are taking action to halt the continued use of nuclear power. Vermont has done the same. Deb Katz and Chris Williams for VT Citizens Awareness Network Hattie Nestel for the Shut it Down Affinity Group. Erik Gillard for Green Mountain EarthFirst!